That The Red Devils would wrap up their reunion tour at the site of one of their most famous triumphs is either a quirk of the calendar or the best planning ever. Whatever brings them to The Borderline in London for the last night of the tour, they will surely be ready to rumble. Don’t expect to see Mick Jagger checking out the band again, but The Red Devils have reignited that fire in 2017 that made fans of Jagger, the Allman Brothers, ZZ Top, Rick Rubin, The Red Hot Chili Peppers and others back in the early 1990s. DETAILS: The Borderline, Orange Yard, Off Marnette Street, W1D 4JB London, UK. Showtime is 7-10:30 p.m. Tickets: www.alttickets.com. 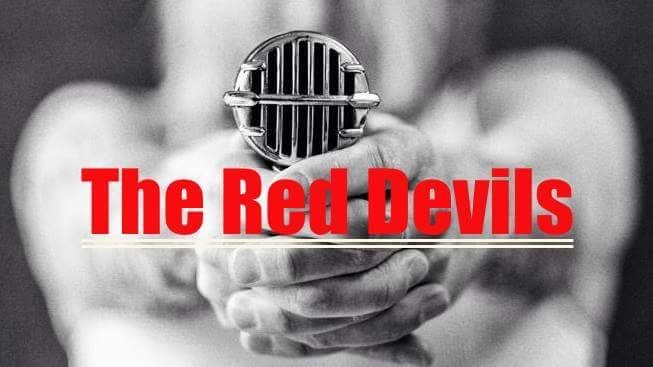 This entry was posted on July 26, 2017 at 4:00 am and is filed under red devils with tags bluefunk club, borderline, reunion tour 2017. You can follow any responses to this entry through the RSS 2.0 feed. You can leave a response, or trackback from your own site. So excited you guys are coming to rock our superb Bluefunk Club!!!! I will make sure I max out the stage lights for you! !